Home > Learning Disabilities > What Is a Learning Disability? A person with a learning disability may experience difficulty in undertaking and coping with social interaction, as well as difficulty in recognising potentially dangerous situations that can leave them vulnerable. Difficulties can also lie with tasks such as effective communication, and the ability to take care of oneself. However, the extent of a learning disability varies from person to person, and can depend on the severity of the particular condition or syndrome. A learning disability is an impairment that exists from childhood, and does not describe a difficulty that is developed in adulthood. A learning disability is also not something that has occurred as a consequence of accidental injury or the result of the aftermath of adult illness. 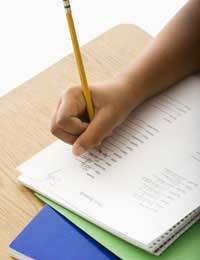 Two more widely known learning disabilities are the condition ADHD, as well as dyslexia. The phrase ‘learning difficulties’ is used in relation to learning disabilities, especially in educational attainments. It has also been adopted as an alternative terminology to the term ‘learning disabilities’. It has been suggested that people with learning disabilities actually prefer to use the phrase ‘learning difficulty’. Another phrase used to describe learning disabilities is ‘developmental disability’, although this isn’t a particularly popular terminology. It is important to remember that many people with learning disabilities don’t like to be referred to or thought of as ‘afflicted’ or ‘suffering’. Through observation and assessment, many learning disabilities are diagnosed during childhood. Assessment of learning disabilities is usually done via a number of tests to evaluate intellectual and social functioning. This helps to fathom the severity of the learning disability, and what measures can be put in place to aid education, as well as assisting with social care if needed. For instance, children with ADHD or dyslexia may be given the chance to undertake a tailored education programme at school if required. For adults, there have also been fairly recent steps taken by the Government to encourage self-advocacy and social inclusion for people with learning disabilities. For intellectual functioning, psychometric testing alone may not deliver an accurate evaluation, as other factors such as mental illness or drug use can have an effect on the results. Therefore measuring the IQ of the assessed is also undertaken. Social assessment is fairly involved, as a variety of factors such as personal circumstances (i.e. religion, gender and age) present living situation have to be taken into account. Assessment scales are used, and the results are usually measured against a number of scales, such as the Adaptive Behaviour Scale (ABS). Many people with mild and moderate learning disabilities are able to lead independent lives, and children with learning disabilities can enter into mainstream education. How do I find out if I have learning difficulties? Learning Disability and Learning Difficulty are clinically different diagnoses. Dyslexia is not a learning disability. Learning Disability is a global congnitive impairment. As such, an individual's average IQ is affected to the extent where it falls below 70. Learning Difficulties is not a global cognitive impairment. As such, the average IQ may be above 70 and indeed, in line with the general population. For example, people with dyslexia may have difficulties reading but this difficulty may not mean their over all averaged IQ falls into the learning disability range. However, it is possible to have a learning disability and a learning difficulty e.g. have difficulty reading whilst having a global intellectual impairment. Not everyone with a learning difficulty would be eligible for a learning disability service in the UK.